Allen and Vivian’s wedding was one of the most emotional. 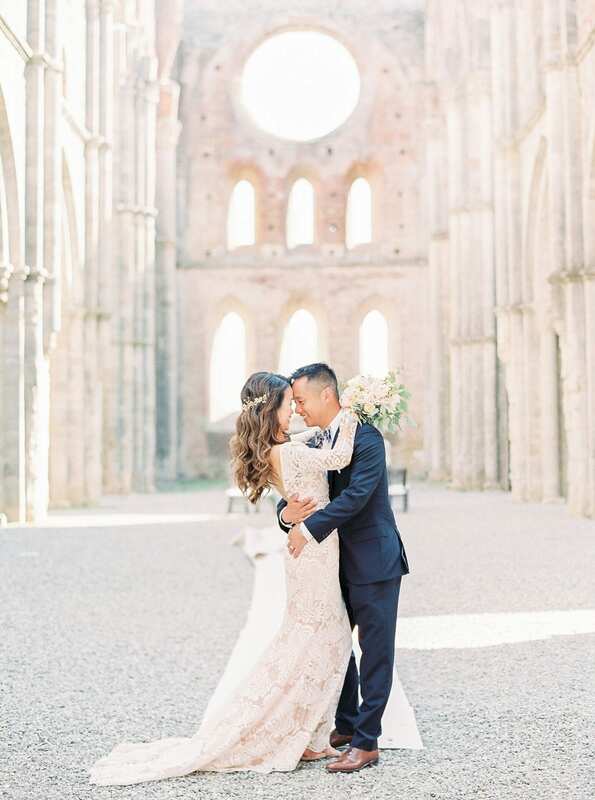 This young American couple together with ten friends and closest relatives celebrated their big day in one of the most romantic corners of Tuscany: the abbey of San Galgano in Crete Senesi. Vivian, the bride, was attentive to every detail of the wedding, which we were bringing about. 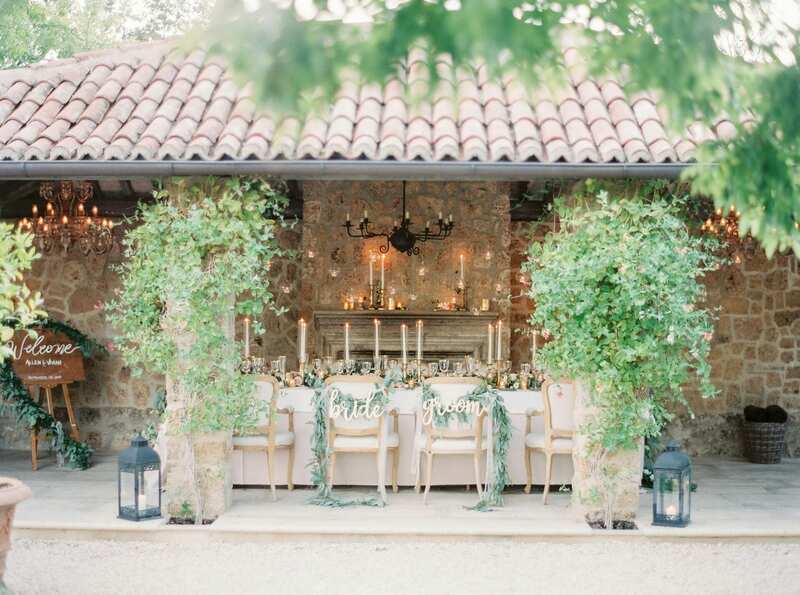 They all were thoroughly checked: the romantic Tuscan style was combined of both countryside and elegant elements; the color palette was green, blush and white. (where there is the Sward in the Stone), the ceremony started with the Game of Thrones soundtrack played on the violin that accompanied the entrance of the groom. The civil ceremony carried an intimate atmosphere. 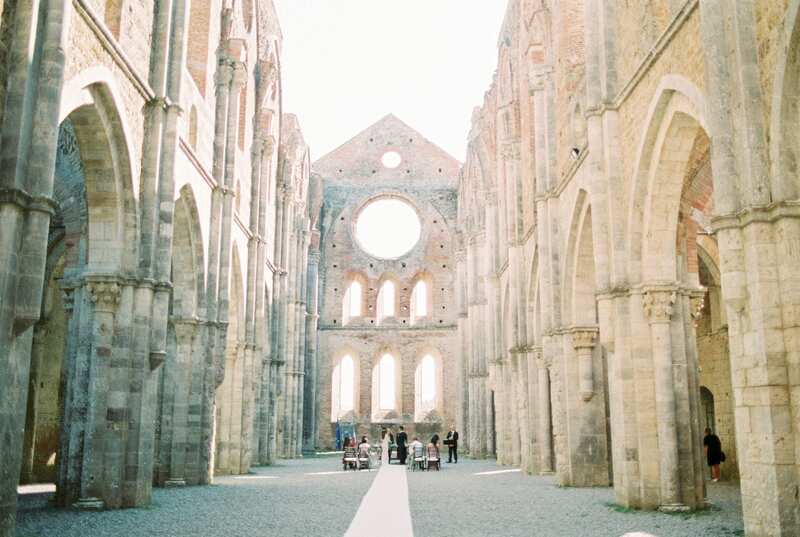 It was occurred inside the impressive walls of this old basilica under the pure sky in the beginning of September. The romantic ritual was followed by the photo shoot of the newly married couple. For Vivian it was essential to eternalize every single moment, every emotion, and every detail of their “Pinterest Italian Wedding”! After the ceremony the couple invited their guests in the splendid Borgo Santo Pietro, an elegant Tuscan oasis among the hills where the ancient stones contrast with the delicacy of the gardens, and where every corner gives a special glimpse or a secret yard. 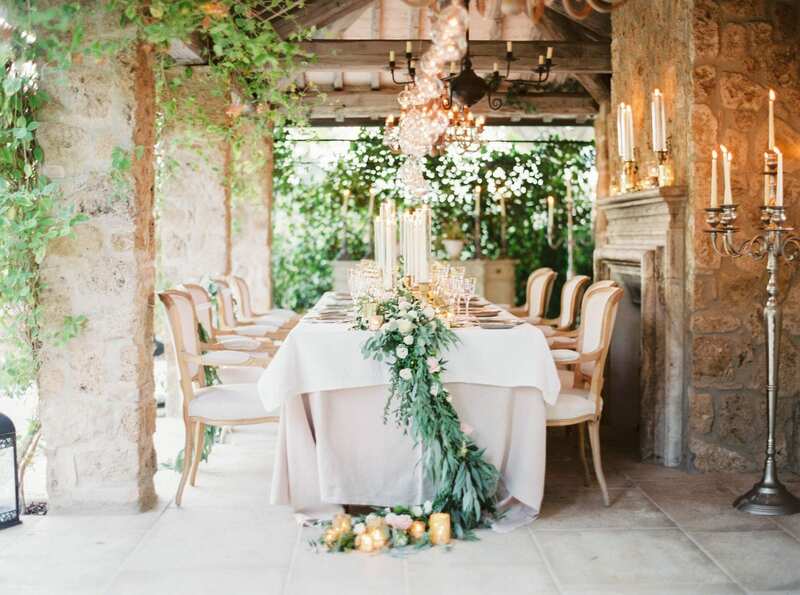 Under the awning, there was a decorated small table for ten people, a splendid chandelier, boule crystal candles, and a gorgeous centrepiece with peonies, roses and vintage candle holders of traditional Tuscan decoration.